Last week, I reported there is a study out saying charter schools provide a great return on investment. Well, since then, the Indiana Higher Education Commission published a new report that provides even more evidence that 21st Century Charter is indeed providing a great return on investment. According to the report, 21st Century Charter School ranks in the top 19% of the state in preparing students to head off to college and NOT need remediation, with only 7% of our graduates needing any remediation. And, our students are in the top 19% of the state in terms of earning the most college credits while in high school. Our graduating class of 2019 earned an average of 19 college credits each. And, 18 of our students are in the top 5% of the state having earned more than 30 college credits each; 9 earned career certifications and 9 earned a full two-years of college while in our high school. All of these college credits are earned free of charge by the students. They put in the hard academic work, we pay the freight. Pictured above are most of our 18 one-year and two-year college students (four were in class). They were on hand at our press conference yesterday in Gary when we held an event with Ivy Tech Chancellor Louie Gonzalez and Gary Mayor Karen Freeman Wilson (in the group shot below) to discuss the transition of the former Ivy Tech Gary campus to GEO. The demand for our program is growing in NW Indiana. In fact, we have more than 500 students on our waitlist. 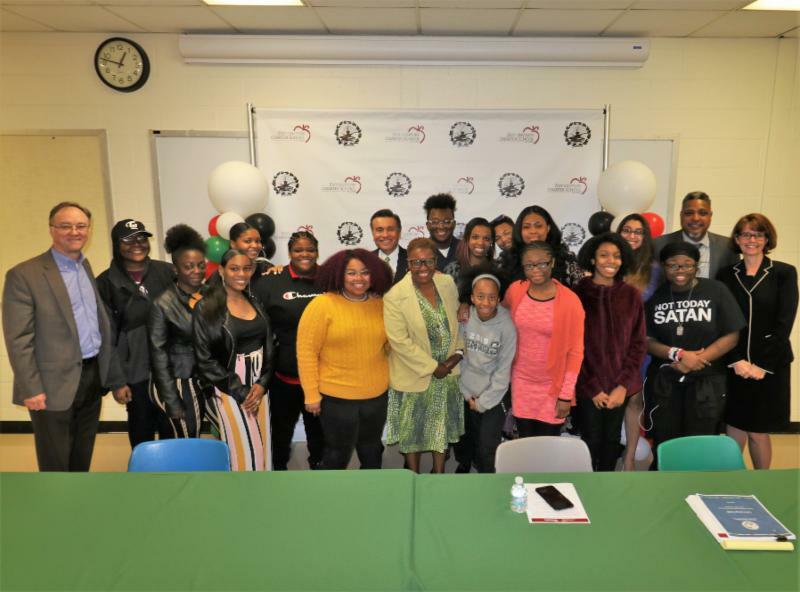 Families want their high school students to gain real college experience while in high school and we are happy to provide them that opportunity. 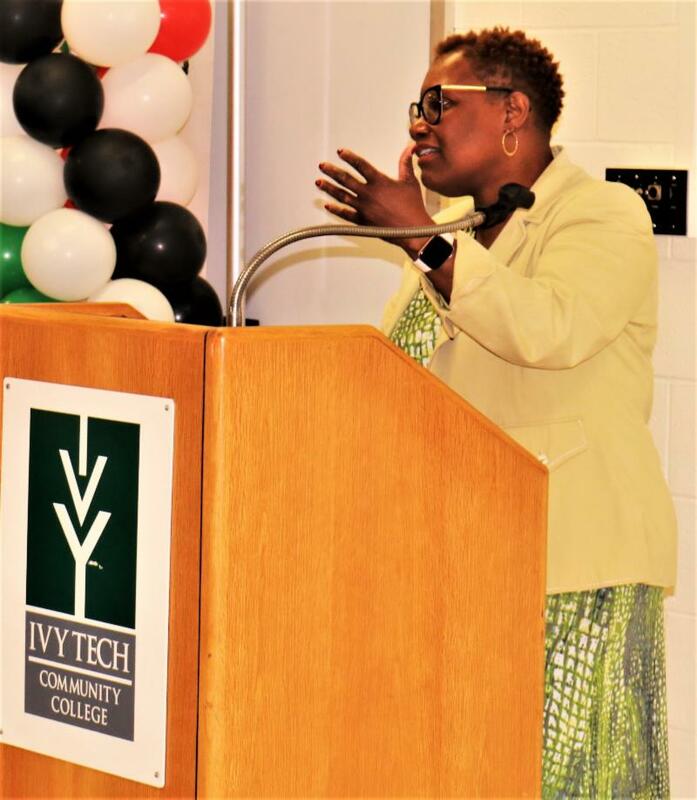 Mayor Karen Freeman Wilson suggested we may need to rename 35th Avenue in Gary to “Education Way” given that IU Northwest, Ivy Tech, 21st Century Charter and the Gary Career Center are all located on the street and are within blocks of each other. Pretty neat idea. The press was out in force to cover the story and filed two stories. Click on this link to read the Gary Post Tribune article and click on this Link to read the Northwest Indiana Times article. We are grateful to the Mayor (pictured lower right) and to Ivy Tech for their continued support. And, as the Mayor likes to say, we are glad to help “change the narrative” about Gary, Indiana. We are honored to work with some of the best people in the world in Gary, Indiana. It’s fun changing the world together!